Originally priced at £48, reduced to £40. 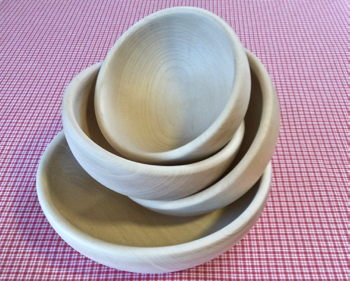 Smooth and light, crafted from pine and with an entirely natural finish, these German bowls are suitable for (dry) foods and will no doubt have many uses. With diameters of 160 mm, 180 mm, 200 mm and 250 mm, they stack neatly inside each other when not in use.